Thanks to everyone who read and shared my 1st article, I’m now 7 months into the process, which the eagle eyed of you may realise is a full month later than I was hoping, with the reason for this being how crazily busy my life has become! So, if you read the 1st part of this blog, which I’m sure will have been beautifully hyperlinked by Laurence [it sure has been – Laurence], you’ll know that I quit the luxury of a paid job in recruitment (after almost 8 years with the same company) to go it alone. And wow has it been some ride! Where to start? Well, let’s talk about that first deal. It took me just over 8 weeks to get my first deal in as ABrecruit, which I think is pretty decent considering everything that I have done is new business – I had to start again without the database that I had come to rely on in my last role, and bringing in new clients when you’re a newly started company with nobody else firing you CVs or leads (as I had been used to) is very tough. I managed to source a new company, and one of the first applicants I sent them ended up securing the role with a salary he was happy with. As I closed my first deal I had a sense of elation – I had done it – working for myself AND generating cash flow! My kids were proud of me too, with my eldest making me a certificate to say well done which is now proudly sitting on my wall and will do forever more as a reminder of quite how hard I worked for it. It was brilliant to go out for a few drinks with the guy I placed, and he was genuinely made up for me too that he was my 1st placement as the new company. I’m pleased to say he flew through his rebate period too! I’ve managed to sign up a few clients on retainers, as well as securing contract business (I used a payroll factoring company for this, link available on request) which is great as it gives me a chance to learn their businesses far better and provide a great service to them. Touching wood as I write this (because I believe in all that mumbo jumbo!) but I’ve been pretty lucky with my clients paying on time, and nobody ignoring my calls for payment since I started. I’ve made sure that every invoice I send out has a payment due date on it and refer to it in the email I send with the invoice on to just make double sure that the client are aware! Something I have been doing more of lately is something that I was told to avoid at all costs in my old company: collaborating with other recruiters! Yes, I’ve been put in touch with some really great people in the recruitment industry and as well as advice I have been lucky to have some roles that I am working on with these people on a split basis, and vice versa. I’ve also started my own MeetUp group which isn’t a .Net focus, but more agnostic in terms of skills. And as a result of my networking and starting groups like this I’ve been invited to another event that is usually only for developers – whilst it is great for networking, I’m genuinely excited to be learning more about the development process, and would like to be the type of recruiter that people can rely on to understand their technology requirements fully, instead of just another keyword matching drone. I’m still working crazy hours (I’m yet to be privy to the ‘golf day’ culture of many company directors I’m afraid), and I barely stop for a cup of tea; but I’ve managed a weekend away with my wife and kids recently which was great – I was checking my emails the whole time though and even managed to get an offer while I was away! So, to summarise, I absolutely love working for myself, I see my kids far more, spend more quality time with my wife, and the flexibility of my working day has allowed me to fulfil a dream of mine for a long time too – I’m now the manager of an U7 football team (which my daughter is actually playing in! ), and am signed up to take my Level 1 football coaching badge. Thanks for reading and the very best of luck if you decide to take the plunge! 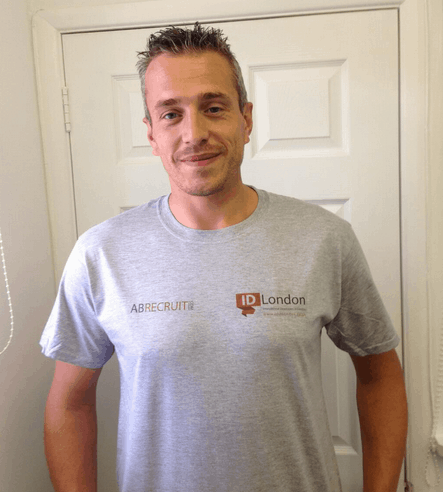 UPDATE: How to Start Your Own Recruitment Business – Part 3!